Flossing in between your teeth is an essential oral hygiene practice for avoiding gum disease and preventing tooth decay. 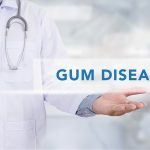 Also known as periodontal disease or periodontitis, gum disease affects 75 percent of Americans and is one of the main causes of tooth loss in adults. Pervasive as the oral disease may be, it can be easily prevented by brushing and flossing your teeth. Recent studies have determined a link between gum disease and increased risk of heart disease and stroke. Maintaining a good oral hygiene regimen may help to eliminate the inflammation factor associated with gum disease, potentially reducing the risk of heart disease and stroke. In general, maintaining good oral hygiene habits may help prevent more serious health complications. Many people don’t realize the importance of flossing and often forego the hygienic practice, believing that tooth brushing is adequate for the removal of plaque, the sticky substance that forms on the surface of and in between the teeth. Tooth decay is a serious oral health concern that is caused by a buildup of plaque. If dental plaque is allowed to accumulate, it can combine with the sugars and/or starches of the foods that we eat to produce an acid that attacks tooth enamel. Tooth brushing removes plaque from the surfaces of the teeth, but only flossing can remove plaque that accumulates in between the teeth. Dental plaque can also irritate the gums to the extent that they bleed easily and become red and tender. If plaque is not removed from in between the teeth with dental floss, the gums can eventually start to pull away (recede) from the teeth. When this happens, bacteria and pus-filled pockets can develop and the bone that supports the teeth can be destroyed. Once the bone is destroyed, the teeth will loosen and/or require removal. Select the type dental floss that you prefer. Tear off a piece of floss about 18 inches long. Wrap the other end of the floss around the finger on your opposite hand. Grip the floss tightly between your thumb and finger. Gently insert the dental floss between your teeth. Be careful not to snap the floss or you could damage your gums. Gently move the floss back and forth against the tooth on both sides and underneath the gum line. Repeat this process in between all of the upper and lower teeth. It is important to floss against the backside of a tooth even if there is no tooth behind it. There are different types of dental floss from which to choose. Among the different kinds of floss are dental tape, waxed floss, woven floss and unwaxed floss. Your hygienist or dentist can recommend which is most appropriate for you. 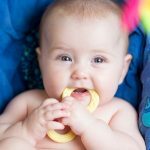 Flossing Products: What Are Your Options? The American Dental Association recommends that flossing should be done daily. There are numerous products available that are designed to make flossing easier. For those who suffer from arthritis, a device known as a dental flosser would be ideal because they are easier to hold. The vibrating dental flossers feel pretty good as they massage your gums, but they are more expensive than traditional dental floss. They can be recommended by your hygienist or your dentist. Many kids prefer the fun-shaped dental flossers that are now available because they seem to be easier to manage with small hands. The best dental flossing product is the one that you will use everyday. The bottom line is that flossing is an essential component of your daily oral hygiene practices and should not be overlooked.